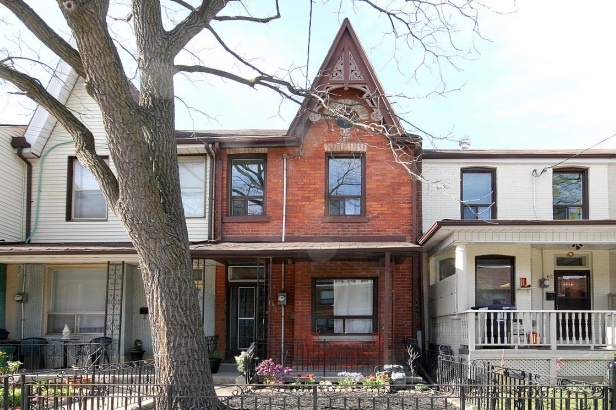 The frustrating thing is that the price, at $469,000, is actually cheaper than the average Toronto home (which, climbing steadily, now costs just over $500,000). It’s also cheaper than a dumpy place that I spotted a couple of weeks ago in Chinatown. But still, at my current rate of savings (based on my current salary), it would take me about 9 years to save up a reasonable 10 per cent down payment — and that’s in addition to what I’ve already saved since I finished university two-and-a-half years ago. Maybe by the time I’m ready, the home will be back on the market! I love the warm hardwood floors and hardwood trim. 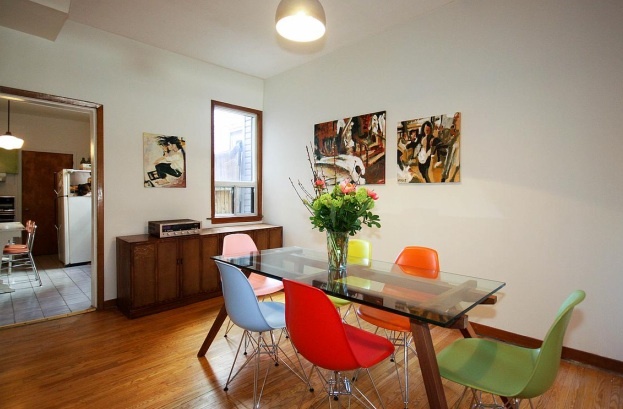 I wonder where the current owners bought those colourful Eames chairs? I wonder if they would throw them in as a signing bonus? 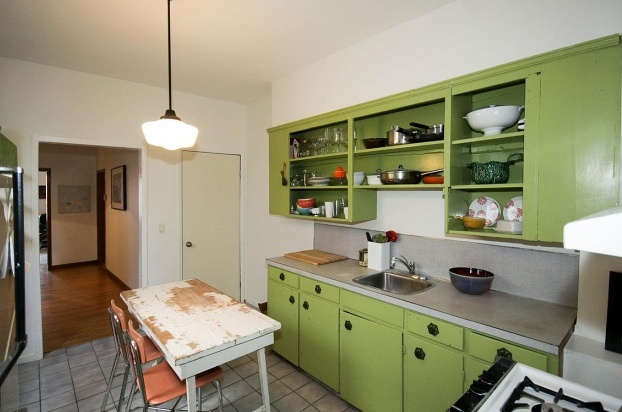 I’m already having visions of how I would renovate the kitchen. Instead of a table, I would put in a small island with a butcher block top. I love having a lot of counter space when I’m cooking, and I don’t like eating in the kitchen (that’s what the dining room is for). Plus, I would update the counter tops, which look like they’re peeling, and put in a lighter-coloured floor tile. Even if I got new cupboards, that colour might have to stay. The two-storey house is over 1,100-square feet and has three bedrooms. For a starter home, which is what this would be more me, that’s pretty luxurious. 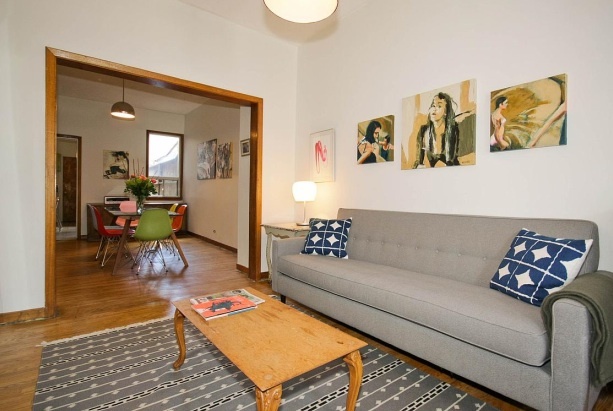 But unlike a typical, futon-sized starter place (i.e. most newly built condo in the city), I would likely live here for a very long time. Now, I just have to sell some organs, win the lottery and get several promotions at work so I can pay for it. 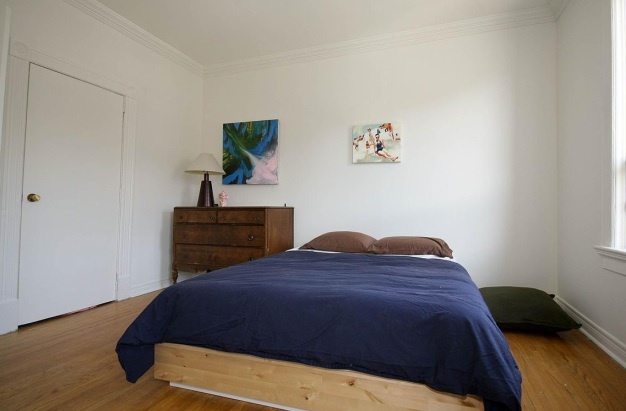 This entry was posted in Shelter Skelter and tagged Bedroom, Chinatown, Decorating, Design, Dining Room, Eames Chairs, Home, Home Buying, Homes, House, Houses, Justin Bieber, Kensington Market, Kitchen, Living Room, Real Estate, Row House, Toronto, Victorian by mmhague. Bookmark the permalink.